Click below to download an Entry Form NOW!! Click below to download our 2018 results! Click below to view photos from the tournament. Celebrating 36 years of fishing! 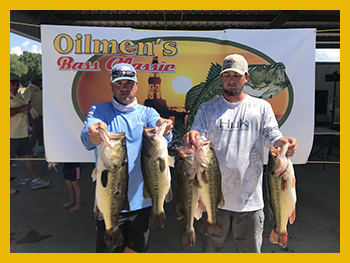 For more than 36 years, the Oilmen's Bass Classic has provided a tournament where participants can fish, network and help support our charities. 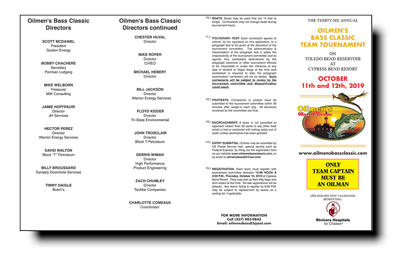 Our new rules and regulations require that only one particpant (Team Captain) must be an oilman. Click here to download our 2019 rules! Thanks to all of our 2019 Directors! all of our sponsors for the support! is currently looking for YOUR support! 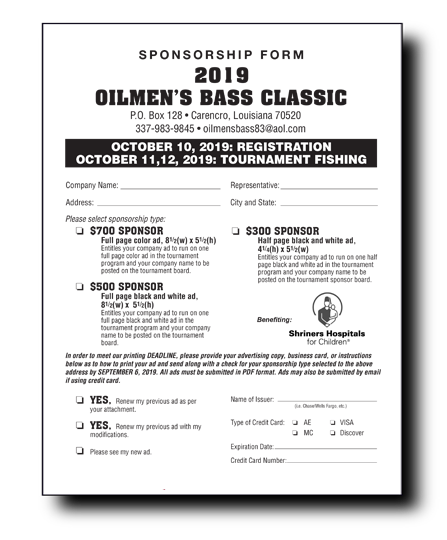 Click below to download our 2019 Sponsor Form! Click below for a copy of the 2018 Tournament Book! Reduced Room Rates for All Participants! 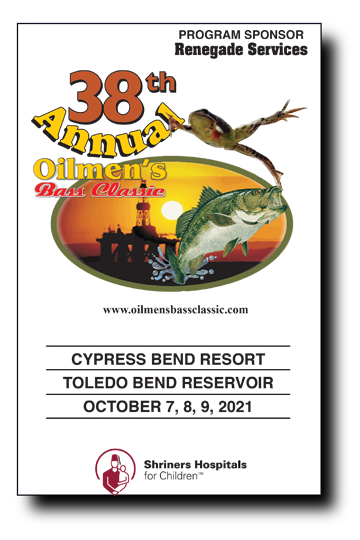 for all Oilmen's Bass Classic participants. Call: 318-590-1500 to make reservations!